Discussions Magazine Music Blog: NEIL INNES/Off The Record reissue: The Spaz Review! NEIL INNES/Off The Record reissue: The Spaz Review! “He’s been a key player in many of the most influential groups in the last half century. He formed The Bonzo Dog Doo Dah Band (later shortened to The Bonzo Dog Band) with Vivian Stanshall, appearing in The Beatles’ movie MAGICAL MYSTERY TOUR. Paul McCartney then produced the Bonzos’ biggest hit single “I’m The Urban Spaceman,” which hit the Top 5 in 1968. After the Bonzos split, Innes began working with Monty Python, appearing on their records as well as their TV series and films. In 1976, he and Python’s Eric Idle conceived the BBC TV series Rutland Weekend Television – Idle wrote the sketches while Innes provided the music. One particular sketch involved The Rutles, a fake ‘60s Pop group fashioned after The Beatles. When that sketch was broadcast in the U.S. on Saturday Night Live, The Rutles became almost as legendary as the band they parodied. A Rutles mockumentary entitled All You Need Is Cash was created for NBC television and broadcast in 1978. The rest, as they say, is history. Now that you are caught up (sort of), let’s talk about OFF THE RECORD, a wonderfully eclectic 1982 album finally available on CD thanks to Gonzo Multimedia. 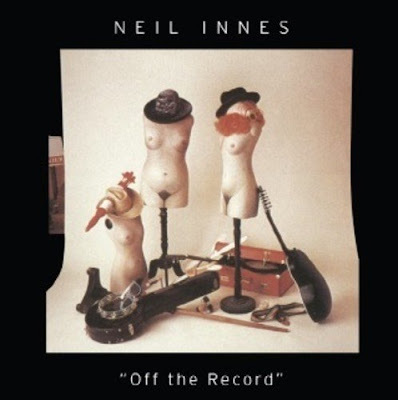 Neil’s previous album, INNES BOOK OF RECORDS (1979) featured songs pulled from the first season of his TV series of the same name. OFF THE RECORD, originally a double LP set, contains songs from the series’ second and third seasons and is chock full of Innes goodness. There are not many artists who can create a musical parody/tribute/homage like Neil Innes can and OFF THE RECORD is chock full of them. The main thing that sets Neil apart from other parodists is his ability to write a great song in the process. Most parodists forget to bring a strong song to the table but not our Neil: he's got loads of great melodies just waiting to become your latest earworms. In most cases, Neil doesn’t force the ‘joke’ down your throat – for the most part, he sings them straight and lets the listener decipher the humor and original influences. Like his post-Bonzo/pre-Rutles solo albums, OFF THE RECORD contains some of his best songs. “Time To Kill” is stunning with Neil’s earnest vocals backed by a string quartet. “Rock Of Ages” is a lost Pop nugget that could have been a hit had a then-fashionable New Wave/guitar Pop band released it as a single. “The Worm And The Angel” recalls mid ‘70s Folk/Pop that occupied the Top 40 at the time. “Kincker Elastic King” was later re-recorded as a Rutles track although it is difficult to decide which is the better version! “Not Getting Any Younger” could be a track straight from the ‘Great American Songbook’. While not intended as such, “Take Away” could have fit on an early ‘70s Ringo album (and everyone knows how fun those albums are). “Stoned On Rock” is almost a playful Neil Young-ish mid-tempo rock song (with great harmony vocals) although the Doors-influenced intro is a bit deceiving. “Godfrey Daniel” is a fab early Elton John-esque piano-led ballad. “Down That Road” is also very Elton-influenced. (BTW, not even Elton sounded like classic Elton in ’82 so Neil’s work was/is quite welcome). “Ungawa” could be the spiritual follow-up to the Bonzos’ ‘50s pastiche (and best-known song) “Death Cab For Cutie”. And there’s still so much more to OFF THE RECORD that I haven’t touched on! Packed with 20 tracks, this is a must for those who seek something different but also want to bathe in the aura of something vaguely familiar. 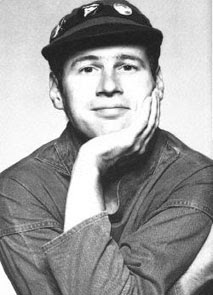 Neil Innes remains one of Rock’s most under-appreciated artists. Don’t let his honest and loving musical homages fool you – he’s much closer to someone like Nick Lowe than he is to Weird Al. He makes you love, laugh, think, ponder, smile and ultimately appreciate the true value of music. Don’t be ashamed if he gives you ‘the feels’. It just means he’s doing it right.